Over 7,000 teachers promoted – Kenyatta University TV (KUTV). All Rights Reserved. 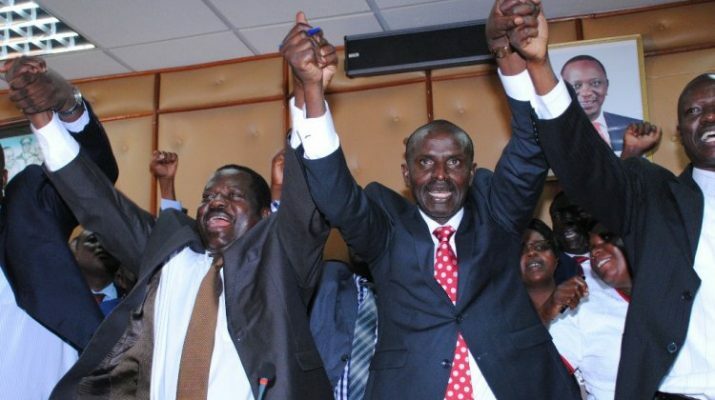 The public teachers yesterday received some of the news they have been dying for after the Teachers Service Commission (TSC) 7,402 staff to higher job groups as part of the fulfillment of negotiations between the employer and trade unions. A statement released by the TSC Chief Executive Officer Nancy Macharia through the head of Communications Kihumba Kamotho showed that 6,104 primary school teachers serving as P1 and Group G had been promoted. 5,067 of them were promoted to job Group H, while 1,037 teachers who were in job Group H have moved up to job Group J. “The 6,104 teachers were promoted after successfully completing the Teachers Proficiency Course, which is conducted every year,” the statement said. On the other hand, 1,298 teachers in secondary and post-secondary institutions were moved to senior ranks of job groups P, Q, and R, after also passing their interviews. The main beneficiaries of the senior positions are 846 teachers currently serving in job Group ‘N’ who have now been promoted to job Group ‘P’. “This is the highest number of teachers ever to be promoted to the senior teaching and institutional management positions of job Groups P, Q, and R,” Kamotho said. The rest of the teachers who benefited from the latest promotions are from secondary schools, special schools, Teacher Advisory Centres (TAC) Tutors and Educational Assessment Resource Centre (EARC) officers. “Appointment to all positions in TSC is based on set performance criteria and merit,” the statement said. Currently, TSC is in the process of recruiting more than 7,157 teachers in primary and post-primary institutions to address the staffing needs of schools. “If the promotions have not recognized the thousands of teachers who have undertaken studies and have earned higher qualifications, then we have a big issue. This is going to cause a big industrial crisis,” Sosssion warned.